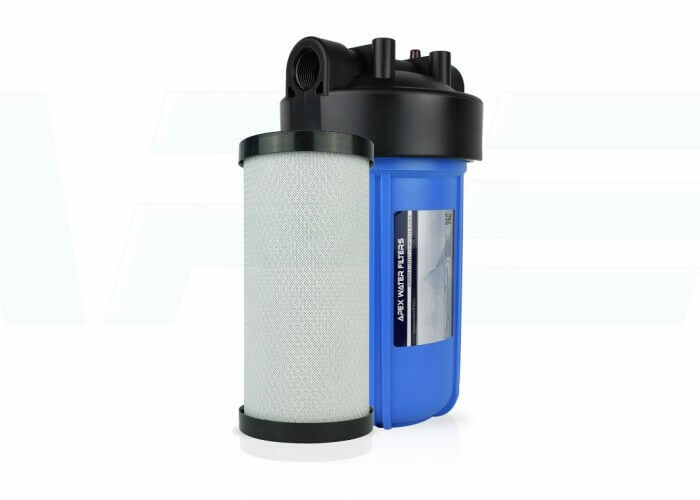 The APEX MR-3030 is a large-capacity professional-grade filtration system suitable for homes, apartment complexes, restaurants and business offices. 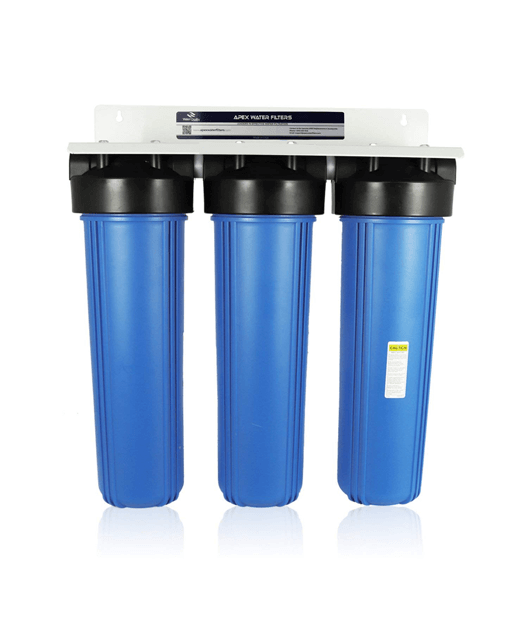 The MR-3030 uses three stages of water filtration using advanced high-capacity filter cartridges. 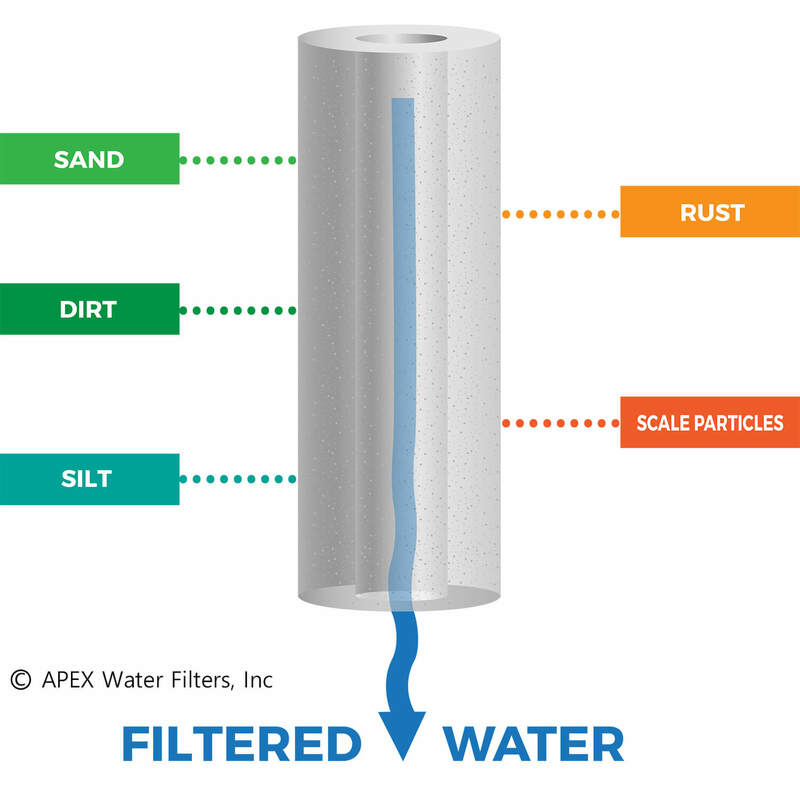 The purification process starts with a 5-micron sediment filter that removes tiny particles like rust, silt and insect parts. 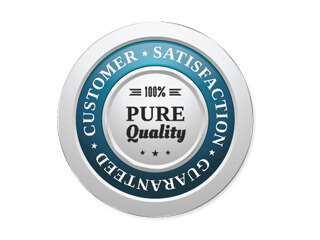 This protects your family and prevents coffee makers, ice machines and dish washers from clogging. 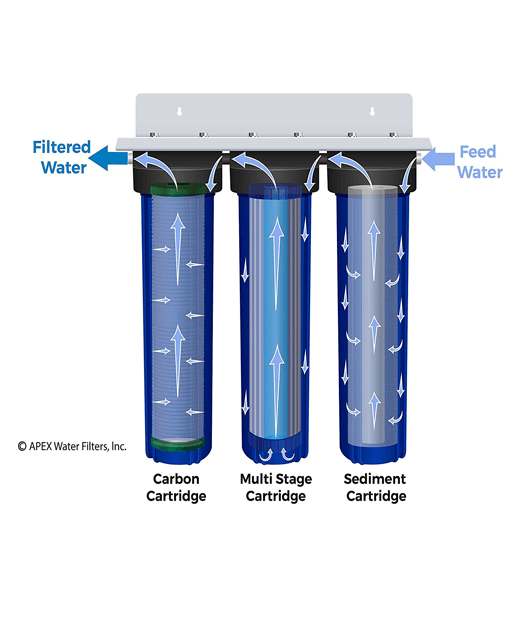 Next, the water flows through a 20-inch multi-stage adsorption cartridge containing granular activated carbon blended with KDF catalytic media. 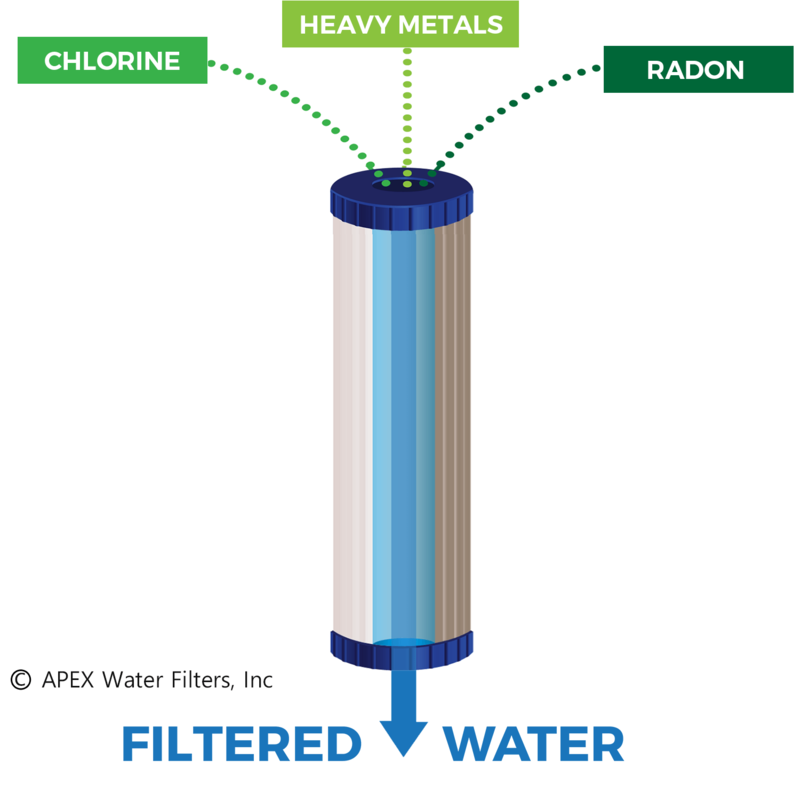 This unique cartridge removes hundreds of contaminants like chlorine, pesticides, volatile organic compounds (VOCs) from leaking fuel tanks, industrial chemicals, lead, mercury and benzene. 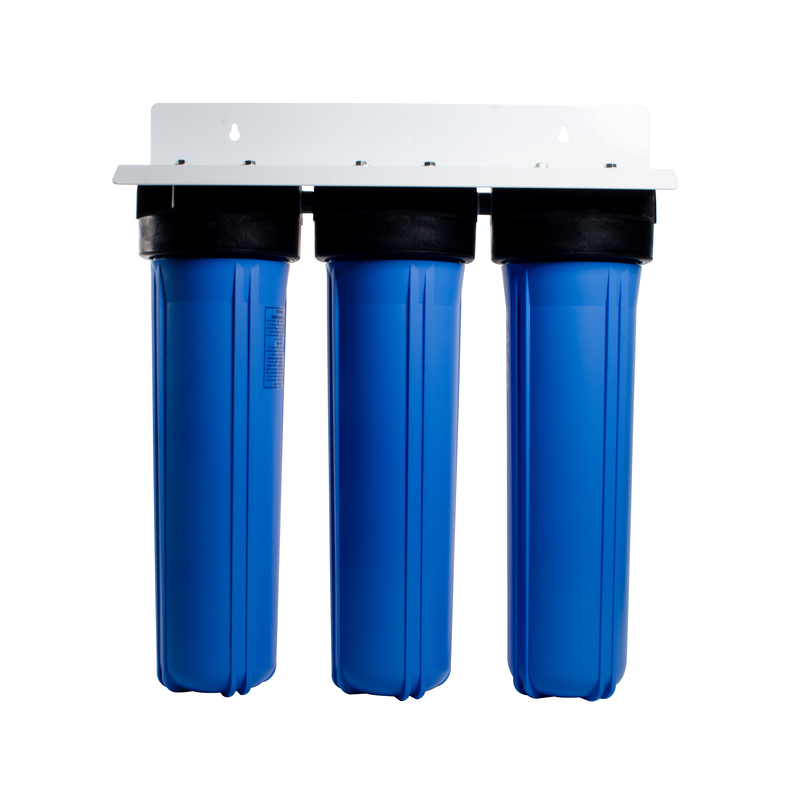 Unlike other budget filter systems, the MR-3030 even inhibits bacterial contamination of the filter cartridges. 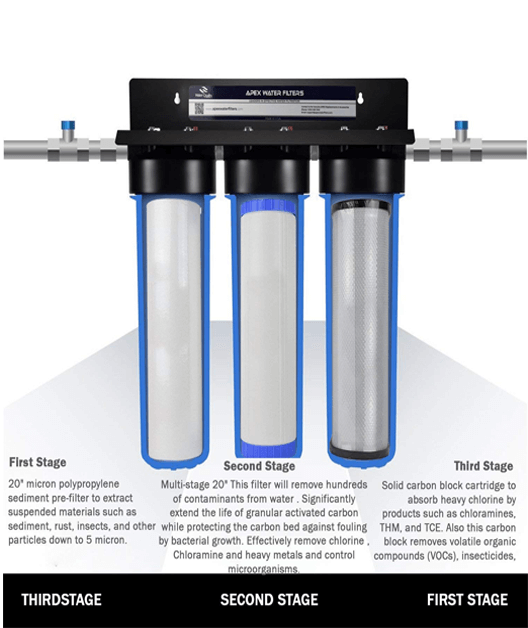 The final stage polishes the water with a 20-inch pressed activated carbon block filter. 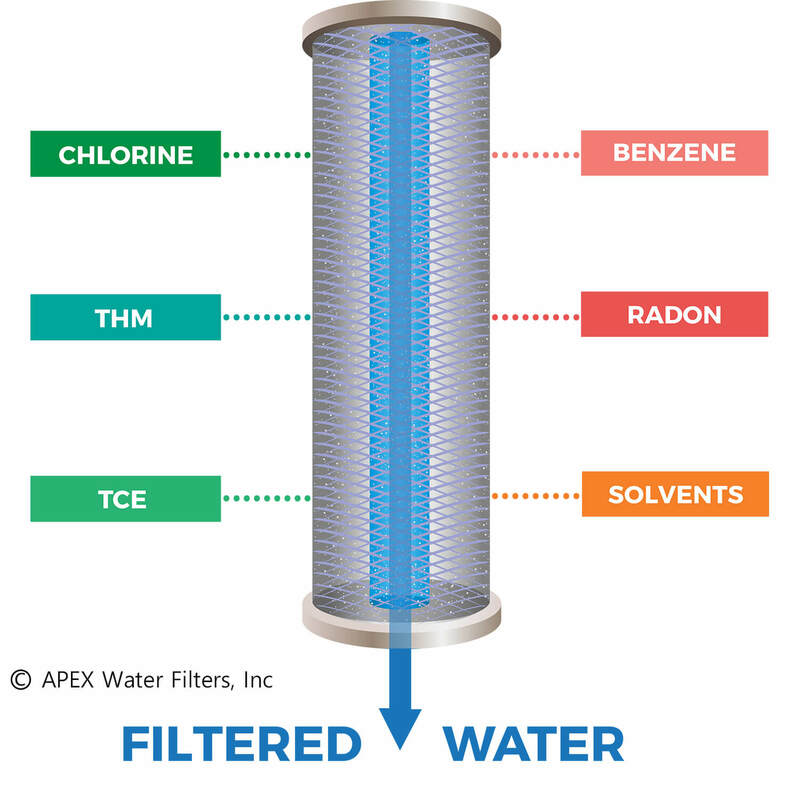 The 5-micron compressed carbon block removes taste and odor-causing chemicals like chlorine, chloramine and rotten-egg odors and carcinogenic disinfection byproducts (trihalomethanes). 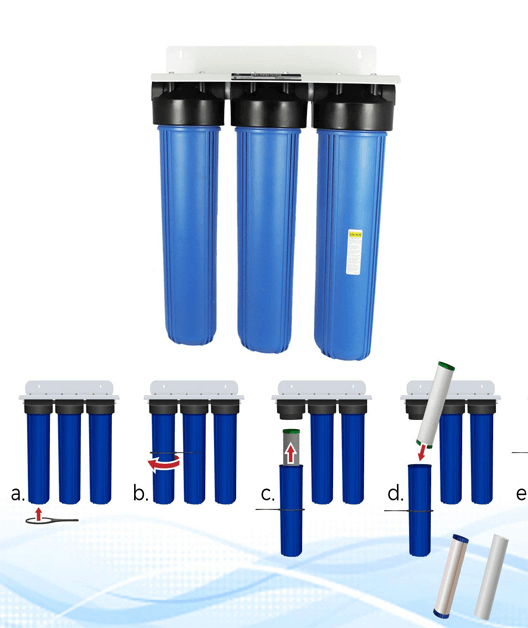 The MR-3030 is the ideal commercial water purification system for restaurants, coffee shops, dental offices and any other application where taste and odor-free water is necessary. 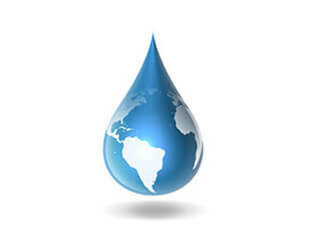 The MR-3030 also protects valuable water-using equipment that is sensitive to clogging by sediments and rust. 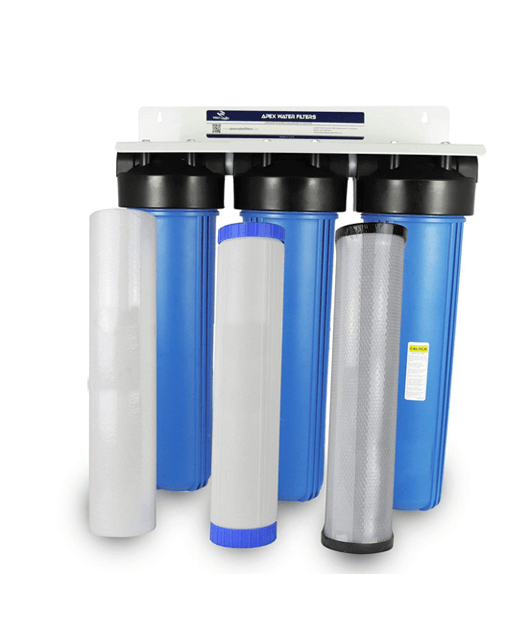 The large-capacity 20-inch cartridges insure a long service life and continuous availability of purified water during high-demand periods. 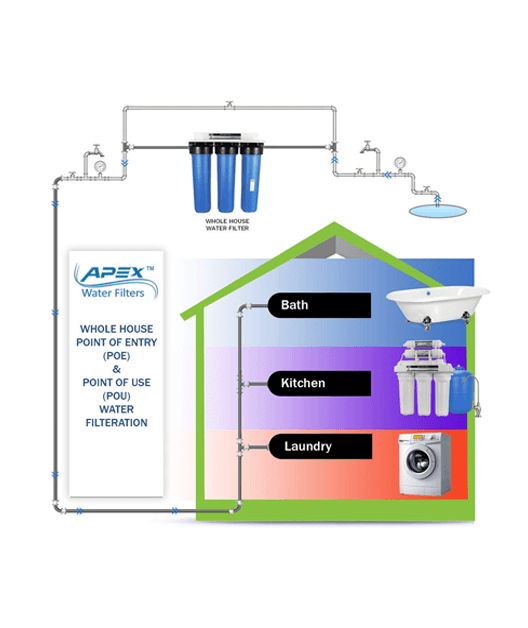 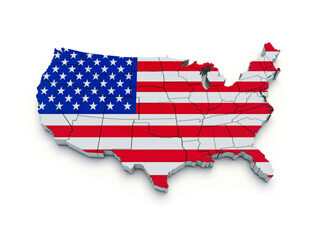 This industrial grade filtration system is also perfectly “at home” in your home. 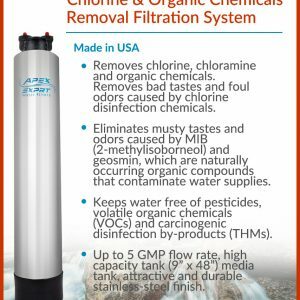 The MR-3030 will protect your entire family from heavy metals, pesticides and groundwater contamination while providing taste and odor-free water for drinking, cooking, washing and bathing.